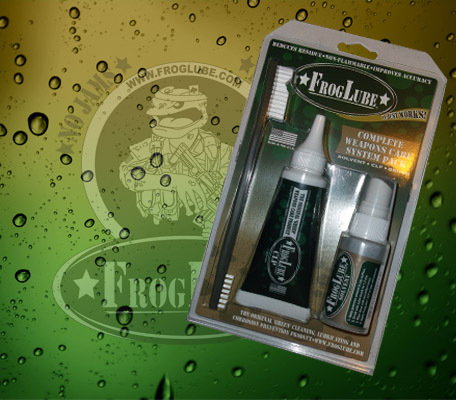 FROGLUBE® is a cutting edge biodegradable lubricant made from “USDA Certified Food-Grade”. All ingredients are produced in the USA using a proprietary formula. It is a non-toxic substance that dissolves carbon on contact. It has a heavy specific gravity, which enables it to ‘season’ the metal by absorption deep into the pores. Using FROGLUBE® results in a durable dry slick wax-like surface that reduces friction, eliminates fouling, and destroys rust. 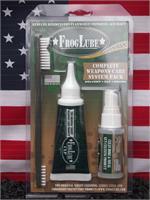 FROGLUBE® is safe for plastic, urethane, nylon, and wood. 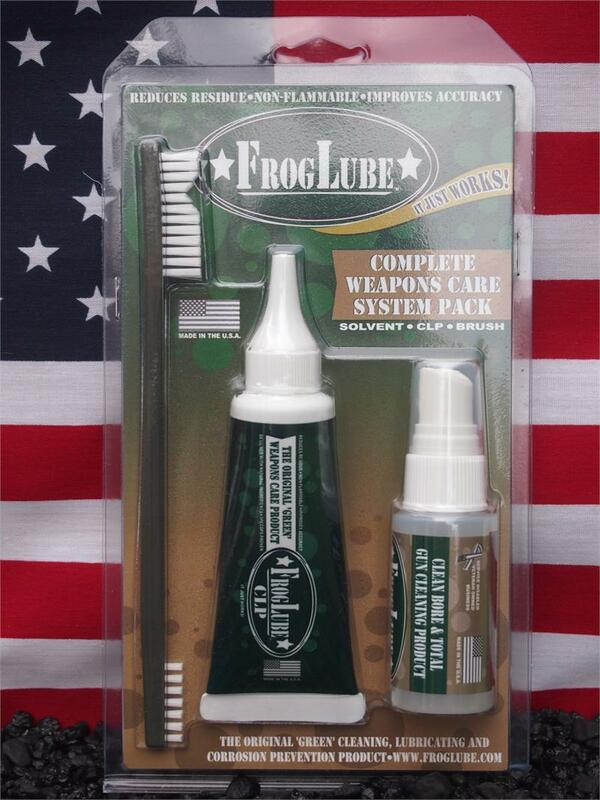 FROGLUBE®will give your weapon many extended years of service. FROGLUBE® will not harm the environment. It can be disposed of without the need for prohibitive HAZMAT controls. Employees will be protected from the affects of working in and around toxic chemicals. • CONTAINS NO PETROLEUM OR WATER. • NON-HAZARDOUS IN EVERY WAY.